For over 3,000 people, a night out on the street is an unfortunate reality. On September 18, 2014, Impact Security Group’s Executives and Management will be joining Winnipeg CEOs, community leaders, and members of the media to help raise public awareness about homelessness, and to deepen my own understanding and tolerance. We all have a stake and responsibility to put an end to homelessness. When we work together with government and the private sector, we can start to form realistic and tangible targets to make a difference. Strategic investments in housing and employment can give hope for the homeless. We’ve seen this happen. 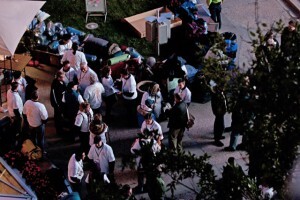 Over the past several years, monies raised from the CEO Sleepout has helped to stabilize housing for those at risk and provided over 40,000 hours of employment for 40 individuals experiencing homelessness. I’m excited to participate in this year’s event as a sleepout participant. I’m thrilled to champion this cause and to work with organizations and other participants to build strong communities, through housing and employment. I would love your support. Copyright © 2019 - VA Productions Ltd.